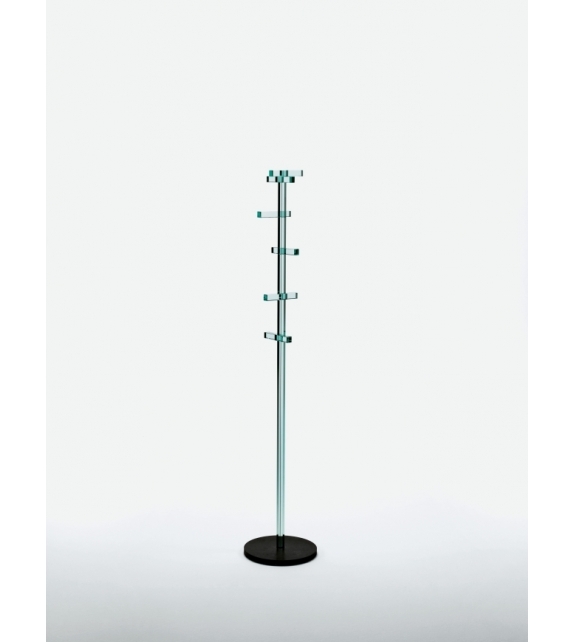 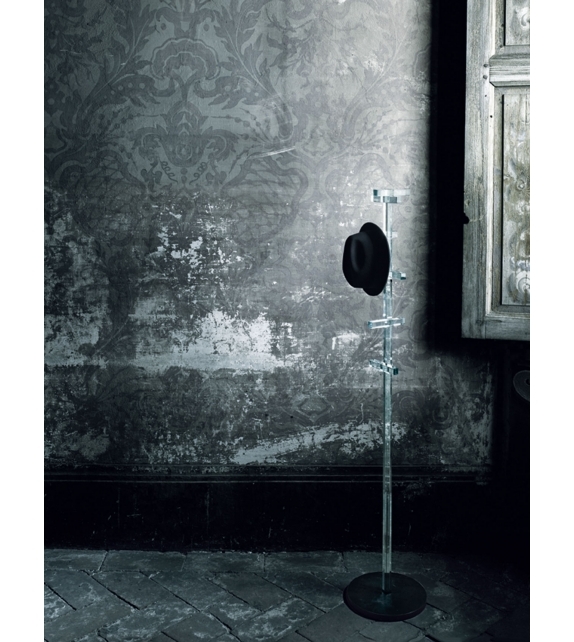 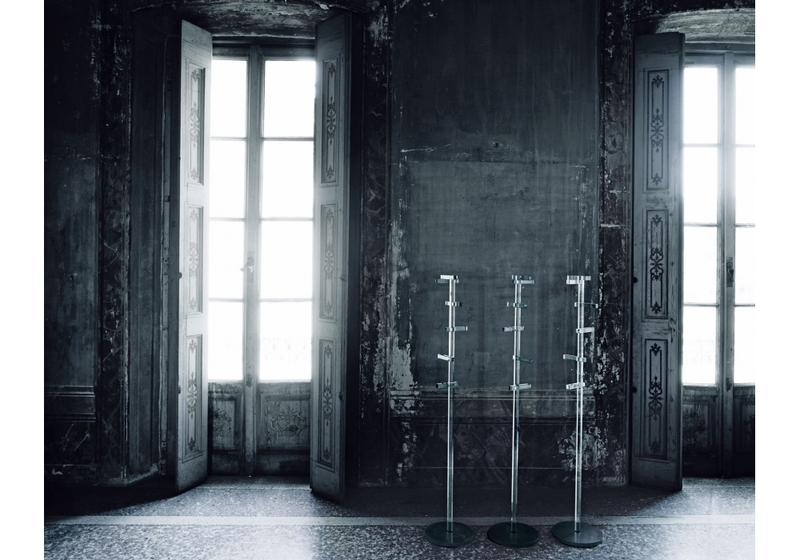 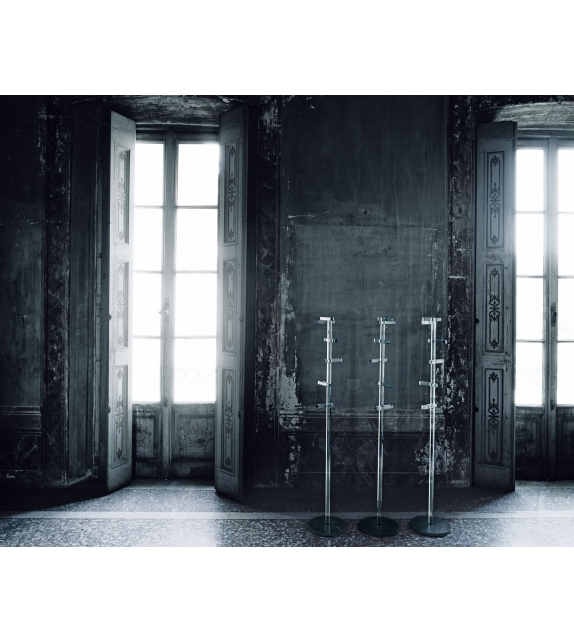 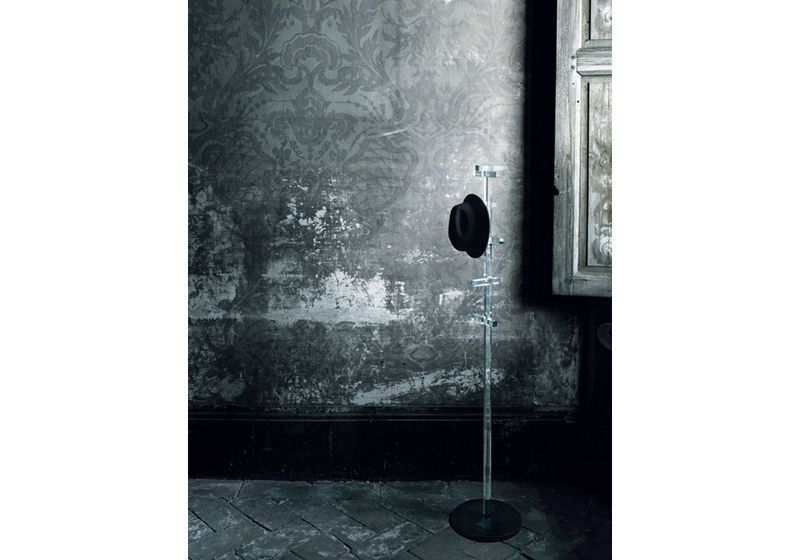 Glas Italia, Telegrafo coat stand: Coat stand with great lightness and formal accuracy. 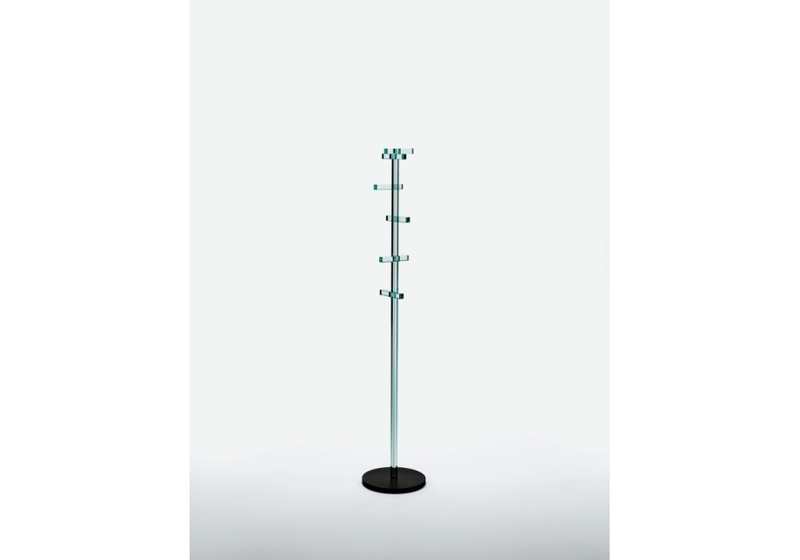 Glas Italia, Telegrafo coat stand: Coat stand with great lightness and formal accuracy. 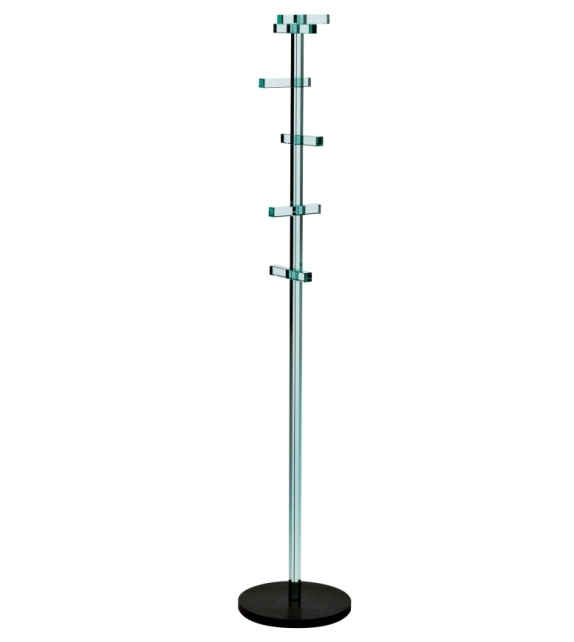 The stem is achieved by gluing square bars of 24 x 24 mm. 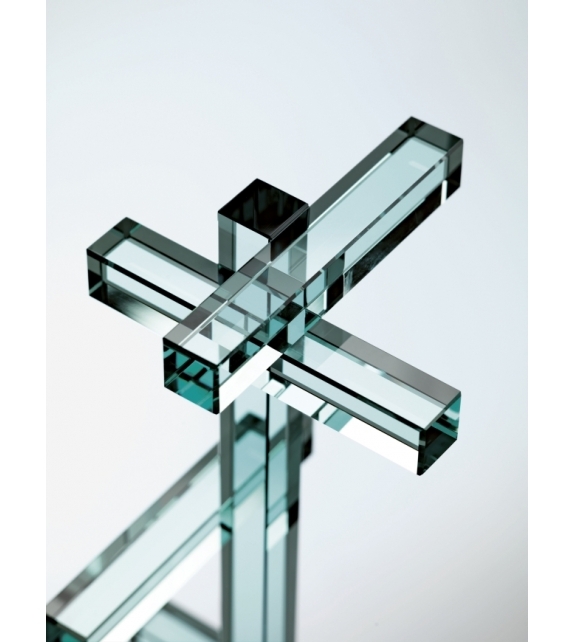 thick transparent glass fixed by means of a joint system to a base made of very thick raw iron. 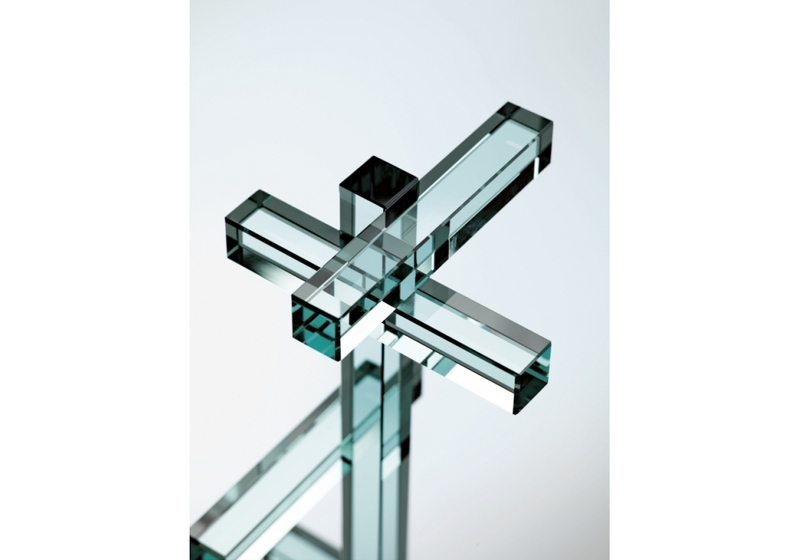 Despite the extreme thinness of the sections, the crystal glass has a high load resistance thanks to a special chemical treatment.